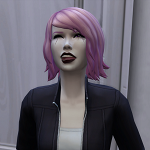 I'm re-uploading my pics, and I'll start by posting sim-me, sticking out her tongue to Photobucket. My sim-daughter Emelie and her husband, PollySim's sim-son, Anthon. Made a pic for Halloween! Click to enlarge it. Halloween pic with my great grandsims Jessica & Susanne. Yay! I'm so glad your thread is back up! 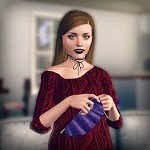 My grandsim Natalie went back to Uni. Now she has diplomas in Technology and Fine Art. Awww, look at her graduating! I love the first picture of her smiling with the diploma! Livvielove wrote: Awww, look at her graduating! I love the first picture of her smiling with the diploma! Fnx! I'm so happy for her! Now when she's back home she'll have time for dating and finding a job. Hm, I should take a portrait pic of her to frame. Edit: And here's the portrait! She's so gorgeous! 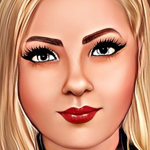 I see a lot of you (your simself) in her! I wish her best of luck in both dating AND job hunting! As both can be quite a task! Livvielove wrote: She's so gorgeous! 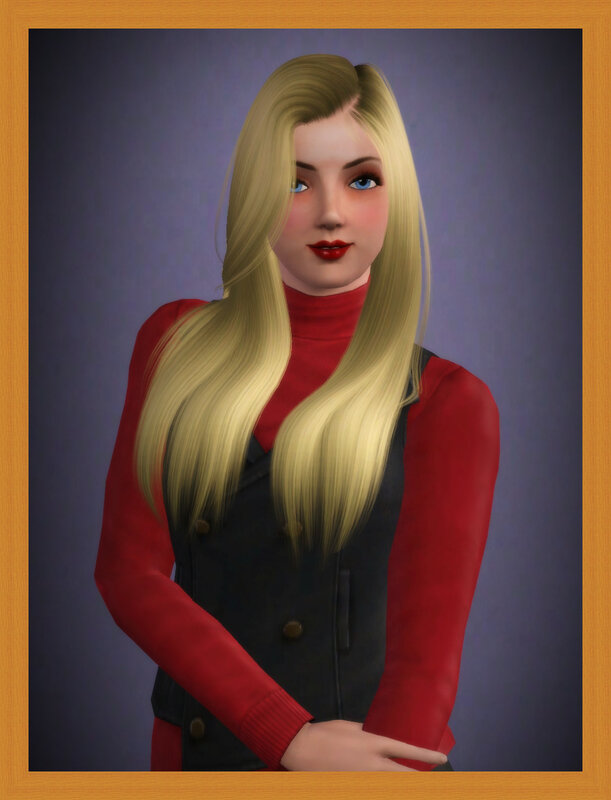 I see a lot of you (your simself) in her! Aww, thanks! I'll tell her that, and will try to help her find the right job/guy! More pics. Click to enlarge. Natalie is looking for a job. She borrowed Snickers for a couple of hours. The next day, she painted the walls. They used to be light blue. Natalie would make a great gardener! You do amazing work with poses. Tox is mooching off staying with her? I love your pics! And wow, two degrees. Natalie must be smart. Nevermore wrote: Natalie would make a great gardener! You do amazing work with poses. Thanks! I'm not sure she has seen him yet. But I think he likes to grow his own veggies. A bit unusual for a spider. 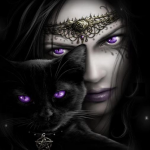 heatherfeather wrote: I love your pics! And wow, two degrees. Natalie must be smart. Aww, thanks! Yes, she is, but no one wants to date her. She needs to work on her reputation. Natalie is so pretty! I love the picture of her in the garden with the shovel! The details in the picture of her painting are really great too, like the tomatoes on the ground! It's sad her date and she didn't get along, but at least she had fun! She definitely may want to work on her reputation a bit before seeing more guys though! I love that ladder you used in the painting picture, and the bucket of paint! Also who doesn't love the bonus with a certain, special spider. You've outdone yourself on these pictures, Cor! I love the fall leaves too! Livvielove wrote: Natalie is so pretty! I love the picture of her in the garden with the shovel! The details in the picture of her painting are really great too, like the tomatoes on the ground! Thanks! 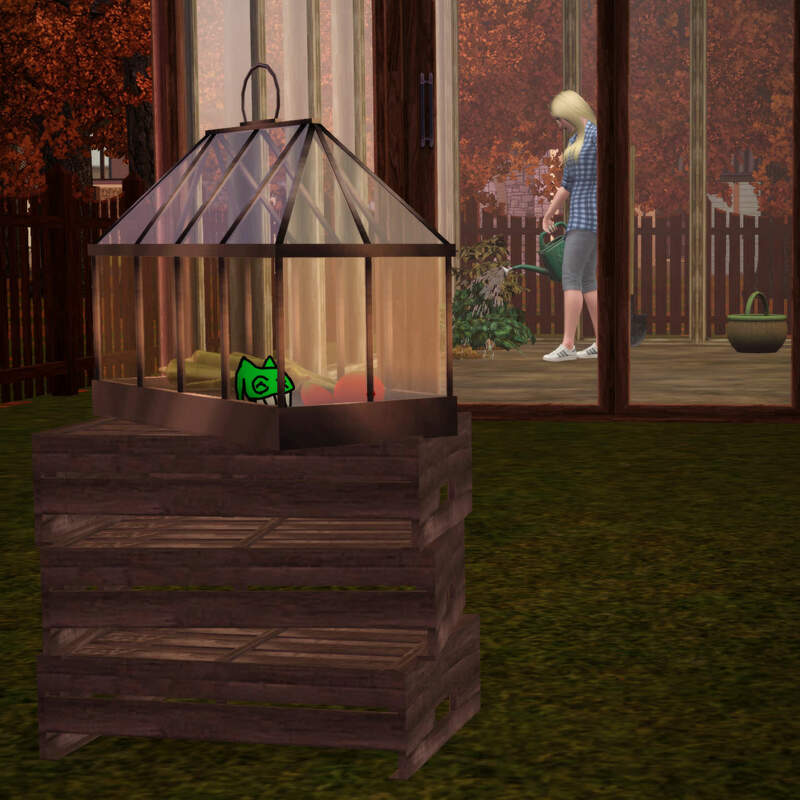 She has decided to be a gardener for a while, and she needs the greenhouse because it's autumn now and winter is coming. And Tox is a vegetarian, so he can grow stuff in the tiny greenhouse. Mhm, he left her there. But she asked him for forgiveness and they talked on the phone later. The next day they went on a date to a dance club, and now he's going to stay the night at her place. She is keeping the step-ladder. I'm sure she'll have use for it later! She has more work to do, redecorating and new furniture. Yeah, I love the portrait too. I'm not sure if Natalie has seen Tox yet. He loves to visit his "fans", but he is a spider after all, and they like to hide in the background. Natalie went shopping and looked for a new stove for her little kitchen. She bought a modern induction one. There! Now it's time for her to call a professionals to take care of the bathroom. 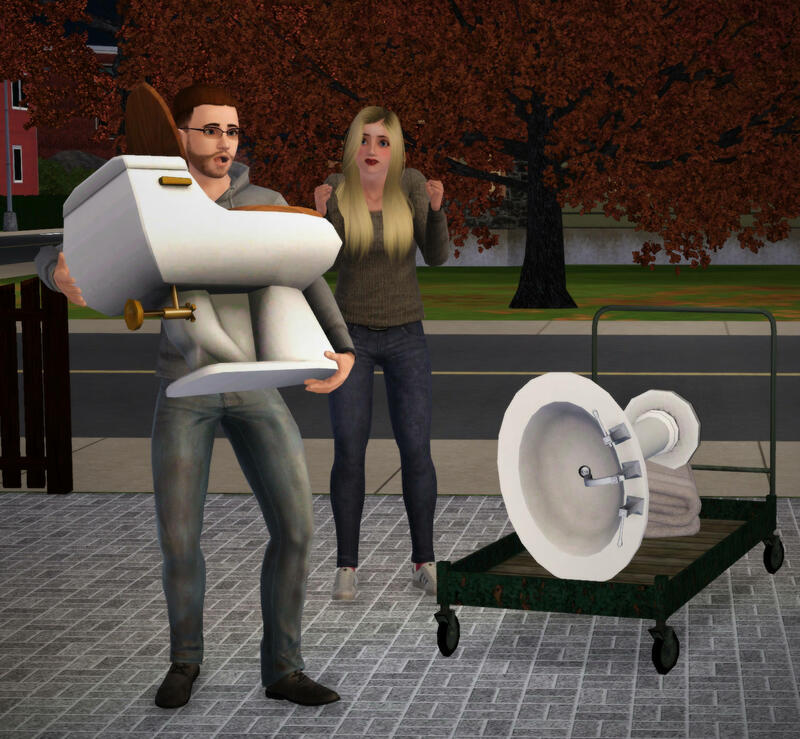 Plumbing is serious business! Wow. These pics are amazing. That one of the store must have taken ages to build! Nev, yes it did. BTW, there's a funny detail hidden in the store pic. New pics, and as usual, click to enlarge! Natalies new baffroom stuff came today and grandpa Spencer helped her install them.